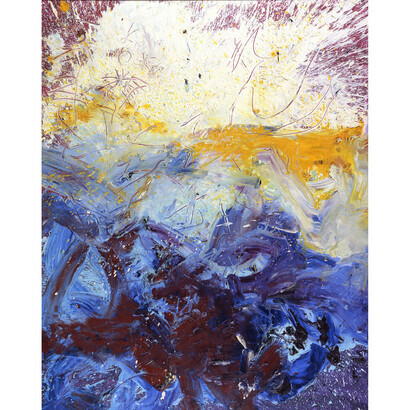 The Estate of Kazuo Shiraga and Fergus McCaffrey are extremely proud to announce Kazuo & Fujiko Shiraga; the first-ever joint exhibition of Kazuo Shiraga and his wife Fujiko. On view from April 30–June 20, 2015 at Fergus McCaffrey, New York, the show opens with a reception on April 30th from 6–8 pm. 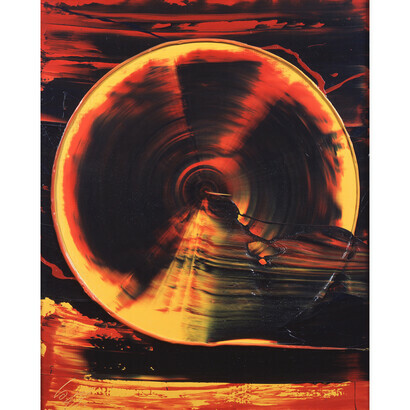 Kazuo Shiraga (b. 1924–2008) married Fujiko Uemura (b. 1928) in 1948, the year that he graduated from Kyoto Municipal School of Painting. In 1952, Kazuo co-founded the avant-garde painting collective Zero Society with Saburō Murakami and Akira Kanayama. Fujiko Shiraga and Atsuko Tanaka became members of Zero Society shortly thereafter, and in April 1955, the five artists joined the Gutai Art Association. 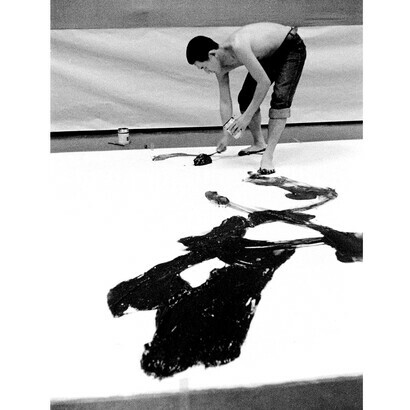 Before joining Gutai, Kazuo had already demonstrated great innovation by creating his first body painting in 1953 and foot-paintings in 1954. 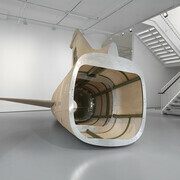 Gutai brought him closer to the influence of Jiro Yoshihara who famously challenged his students to “create what has never been done before.” Kazuo responded by making revolutionary performative works and large-scale “foot-paintings” of extraordinary aesthetic power, which he created while swinging from a rope. Kazuo’s signature style and unique method remained a constant for the rest of his six-decade long career. Fujiko’s reaction to Yoshihara’s decree was equally radical. 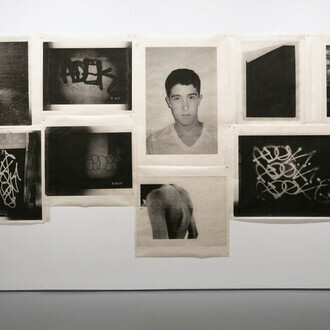 In 1955 she began making large and fragile collages of torn and layered paper that explored transparency and opacity. Simultaneously she created a concrete sculpture incised with deep horizontal lines, and White Plank, a 13 foot long angled plank of wood bisected by a long snaking cut. In 1960 she began creating paintings on canvas composed of wax, broken glass, torn paper and pigment. In 1961, she abandoned her own art making and moved to support Kazuo’s studio practice, a role she maintained for the remainder of Kazuo’s career. 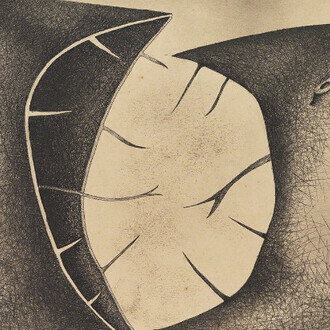 After Kazuo’s death, several forgotten works by Fujiko were discovered in his studio. Created between 1955 and 1961, these works are a revelation and shed light on an innovative artist deserving of wider study and recognition. 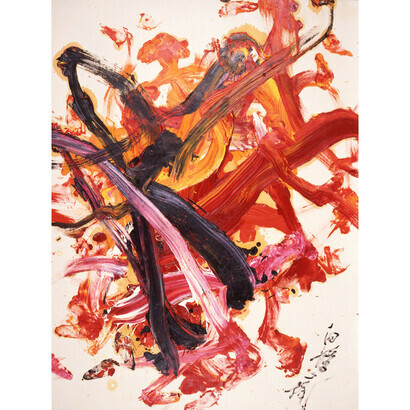 Fifteen of Fujiko’s works will be exhibited at Fergus McCaffrey adjacent to a selection of masterworks by Kazuo drawn from the Estate of Kazuo Shiraga. 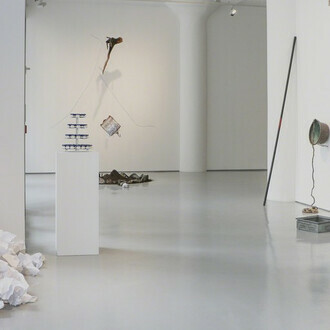 The exhibition will be accompanied by an in-depth publication exploring both artists’ work. 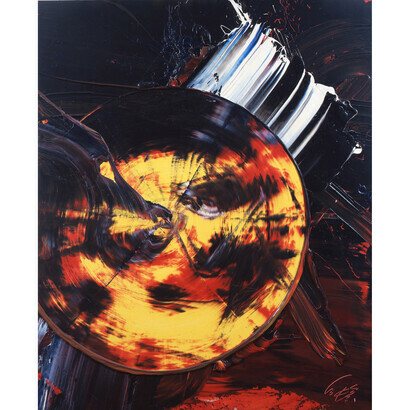 Fergus McCaffrey has pioneered and advocated the understanding of Kazuo Shiraga in the United States since making the first solo exhibition of the artist’s work at McCaffrey Fine Art in 2009. 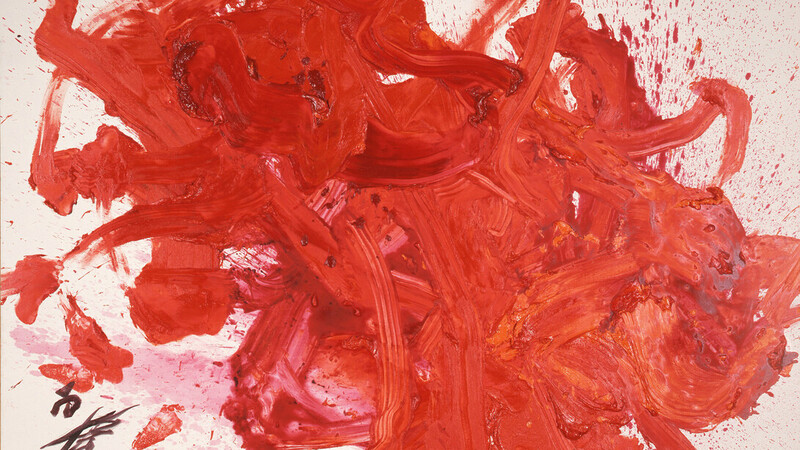 The gallery published Kazuo Shiraga: Six Decades, the first in-depth English language publication on the artist, co-authored by art historian Reiko Tomii and Fergus McCaffrey in 2009. 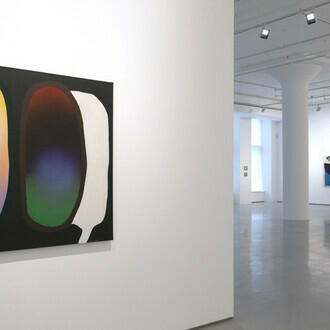 This is Fergus McCaffrey’s third exhibition of Shiraga’s work in New York. 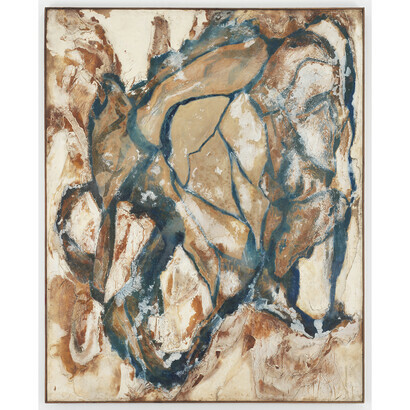 The first US museum survey of Kazuo Shiraga and his Gutai colleague Sadamasa Motonaga, entitled Between Action and the Unknown: The Art of Kazuo Shiraga and Sadamasa Motonaga, is on view at the Dallas Museum of Art, and will run through July 19th. Fergus McCaffrey is internationally recognized for its groundbreaking role in promoting the work of postwar Japanese artists, as well as a quality roster of select contemporary European and American artists.